Is there a rigorous translation of the Bible, sponsored or produced by secular organization? Not that this translation would be necessarily more impartial, but it would be nice to have this version to read in parallel with other versions. There are several Parallel works (listed below) but they too seem to be affiliated with Christian organization or scholars. The NIV was sponsored by the Christian Reformed Church and the National Association of Evangelicals. The KJV conforms to instructions by King James I to support the episcopal structure of the Church of England. The Amplified Bible (which sources 2+ translations side-by-side) is a product of the Zondervan Corporation, the founding member of the Evangelical Publishing Association of America. The Comprehensive New Testament - promising. I may read it, but also edited and compiled by Christians. The Society for Biblical Literature produces a well regarded translation (Logos even carries it). According to their own mission statement, they are concerned with biblical scholarship and not doctrine. Their vowed mission statement is simply "to promote biblical scholarship." They are a secular organization not affiliated with any religious organization (see comment below). Their Greek translation of the New Testament is available for free here, but I believe their translation of the Old Testament requires purchase. The Oxford Companion to the Bible was the product of many well respected theological scholars, including several who are not Christians. Bruce Metzger is (was?) the chief editor. Anything by Bart Ehrmann e.g. Misquoting Jesus should speak to the historical value of the source texts and give guidance. Anything by John Dominic Crossan or The Jesus Seminar would also fall into this category. JDC is currently in the leadership of the SBL. The obvious example (as it's been recently discussed here) is the Wikisource Translation It's not complete, though, and its value as a "good" translation is debatable. If you read French, the secular translation by André Chouraqui is very interesting. One nice part is that he often translates figures of speech literally, so some of the verses sound very foreign but more poetic. He also translates the names of the books and the people when possible. Also, he uses a single French word in literal translation for each use of a particular word in the original; so for the Hebrew "ruah" or Greek "pneuma" he uses "souffle" (breath), instead of something more modern like "spirit" (esprit in French). This captures the original idiom rather well, but it does make it harder for us modern folk to read it. 2: the earth was tohu-and-bohu (tohu is Hebrew for "waste"), a darkness on the faces of the abyss, but the breath of Elohims blew across the faces of the waters. 3: Elohims says: "A light will be." And it's a light. 4: Elohims sees the light: what good! Elohims separates the light from the darkness. 5: Elohims cries out to the light: "Day". To the darkness he had cried out: "Night". And it's an evening and it's a morning: Day one. Like I said, it's kind of a foreign read. But then again, the Bible is a foreign anthology, isn't it. There is an update of the popular NIV translation about to come out or recently released. Whatever it's root, Zondervan (the publisher) is now owned by Harper Collins, which is in turn owned by News Corp. Harper Collins is decidedly secular, publishing many books that would definitely be out of place in a Christian home. Thus, while it involves mainly Christian scholarship, even the well-known NIV translation could no longer be said to be wholly Christian in origin. Many other common modern translations have similar conflicts of interest. At the risk of stating the obvious, the entire Old Testament can be found translated to English by Jewish scholars. Wikipedia gives an overview. Not the answer you're looking for? 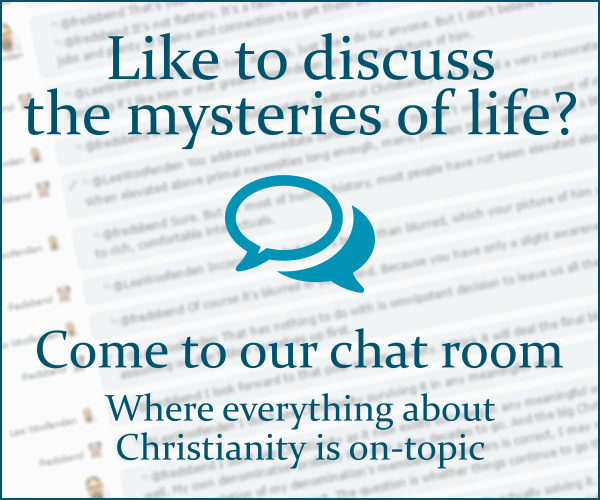 Browse other questions tagged bible-translation or ask your own question. How can one judge how accurate a given Bible translation is? Is there an English translation of the Bible that is accepted by most Christians? Is there a modern translation of the critical text of the Bible into Classical Latin?